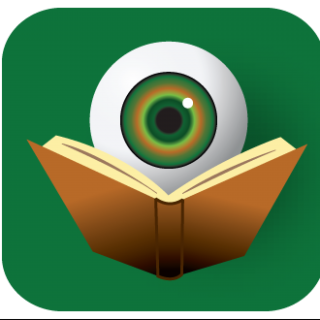 The majority of works in the crime fiction genre tend to focus on either the path to a crime or the investigation into that crime, resulting in a solution. However, works like Remember Me Like This by Bret Anthony Johnston demonstrate that there can be compelling drama found in the aftermath of a crime as well. Johnston’s debut novel tells the story not of Justin Campbell’s disappearance, but rather focuses its attention on his return. Four years after going missing, fifteen-year-old Justin is returned to his family – a family now fractured by the stress of his absence. His mother is spending most of her days at the aquarium caring for a sick dolphin. His father is having an affair with a trusted family friend. Meanwhile, his younger brother is struggling through adolescence, harboring guilt and fear. Nevertheless, the Campbell family is able to pull together to celebrate Justin’s unexpected return. But where has he been? The first few weeks and months after his return as documented in the novel are filled with joy, blissful relief and a slow acclimation back into normal everyday life, but slowly doubts, worry and sadness begin to hover over the various family members. Even the citizens of the small Texas town seem to have been irrevocably affected by the case at hand. Johnston’s fluid prose makes it easy for readers to slip into the mindset of each of the central characters. His use of recurring motifs is to be commended. At multiple times, Johnston chooses to examine the dolphin and what she is going through, but rather than being a distraction, it only serves to heighten the reader’s attention to how this relates to Justin’s (and his family’s) adjustment back to normalcy. Similarly, Johnston uses skateboarding as a focal point for the boys. At times it represents the bonding of brothers and conversely, it can also represent moments of trauma for them both. Plot developments which I will not spoil here eventually lead the Campbell family down a dark and dangerous path. Yet, readers never lose sight of the humanity of each character – when they suffer, we suffer and when they have a break through, we share in the happiness. The lyrical, descriptive language used by Johnston fully envelopes the reader, almost daring them to turn away from the page at the risk of missing the next incident. 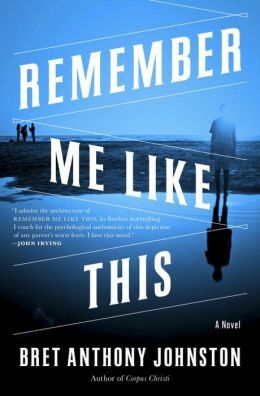 Remember Me Like This is a meditation on recovery which reads like the best thrillers. What could have been a slow, drawn out story is instead a tense and exciting reading experience. Since this is Bret Anthony Johnston’s debut novel, only time will tell what he is going to be capable of in the future. Something tells me, we’ll be hearing a lot from this author.